UPDATED: Tue., April 4, 2017, 9:50 p.m.
GLENDALE, Ariz. – Gonzaga’s heartbreaking loss to North Carolina in the NCAA basketball championship had many wondering why GU’s promising season had such a bitter ending. Some fans blamed the officiating. Some argued that foul trouble hindered Gonzaga the most on defense. Others thought GU’s performance at the free-throw line held it down Zags. While fans have continued to look back at Monday night’s game and wonder what could have caused the winningest Gonzaga team in school history to lose out on the biggest title in college basketball, others have already claimed to have discovered a reason for GU’s upsetting loss. The Zags sported their infamous black uniforms on Monday, the seventh time they’ve worn the jerseys this season. Since Nike presented Gonzaga with the alternate-color jerseys in 2009, the uniforms have taken on a reputation of being unlucky, especially in nonconference matchups. Last year, KREM-2 sifted through every Gonzaga game that was played in the black jerseys. The news team found that since 2009, the Zags own a winning record while wearing black. Adding in this year’s record in the black jerseys, Gonzaga is 32-11. Not bad, considering that all of the matchups played in black were road games. But some fans are still adamant that the jerseys are nothing short of ill-fated. They took their argument to social media on Monday night after the buzzer sounded and the Zags sauntered off backstage. #Gonzaga are wearing their black jerseys?! Gonzaga lost because of those stupid black unis. Many fans immediately posted their frustrations on Twitter, blaming the tough loss on Gonzaga’s uniform choice that evening. Several requested that the school finally retire the black jerseys. Others asked the team to just stop wearing the black uniforms against high-level opponents. Then there were those who suggested to the team’s Twitter page that the uniforms be physically destroyed, preferably by fire. The black uniforms seemed to have had acquired the bad reputation after the Zags accumulated a number of upsetting losses while wearing the color. What’s almost eerie is that Gonzaga’s first loss in the black jerseys was to North Carolina in the 2009 Sweet 16. 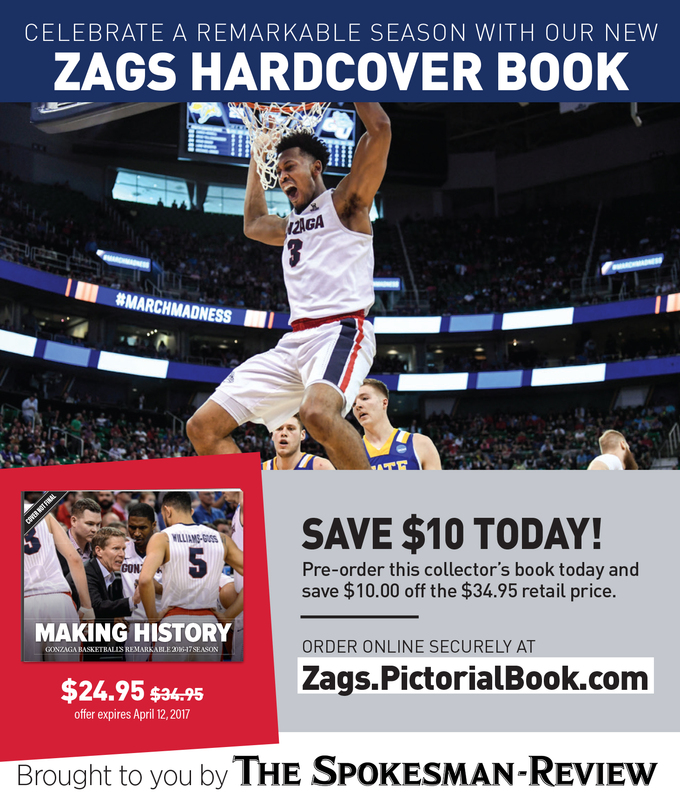 They wore the uniforms in several other highly watched matchups, such as their 2014 overtime loss to Arizona and their game against Saint Mary’s last year when the Zags fell by three points. 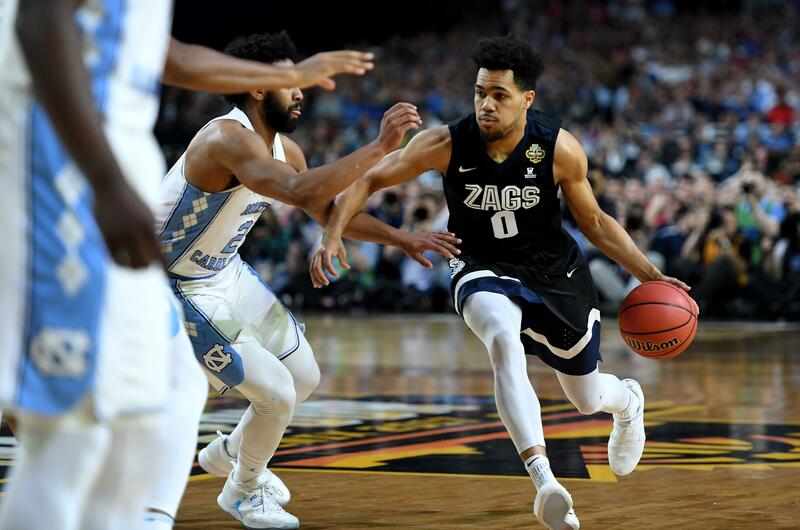 In Gonzaga’s disappointing loss to Duke in the Elite Eight round of the 2015 NCAA Tournament, the Zags had again abandoned their normal visiting color – navy blue – for the all-black apparel. This year, Gonzaga continued the trend in wearing the black uniforms for some of their higher-level opponents. The Zags were in black at four neutral sites this season, which included national championship game inside the University of Phoenix Stadium. The Zags sported the black uniforms against three of their toughest nonconference opponents this season – Florida, Arizona and Tennessee. Gonzaga’s five-point victory over Florida’s Gators was the smallest margin of the three wins. The Zags wore the jerseys three more times in conference this year against Loyola Marymount, San Diego and BYU. They toppled San Diego 96-38 while wearing black, GU’s largest margin of victory in conference this season. Some fans who don’t follow the hype around the black jerseys have attributed the “black jersey curse” to the fact that the Zags only seem to wear the jerseys against tougher opponents and in games that fans remember the most throughout any season. Many have argued that the losses suffered over the years in the black jerseys would have still been losses had the Zags worn their navy blue uniforms instead. Even the players and head coach Mark Few don’t buy into the so-called curse, and they never have. Years ago, before the black jerseys were introduced to Gonzaga’s team, the Zags would occasionally sport all-red uniforms that were also supplied by Nike. The red jerseys were immediately labeled by the public as unlucky and were eventually thrown out ahead of the 2008-09 season. Few told The Spokesman-Review’s John Blanchette in 2008 that people didn’t take into account that none of those games in red was played at home – just like the games played in the black uniforms – which would obviously have an effect on Gonzaga’s record in the alternate jerseys. It seems that over the years the Zags have always taken on the responsibility of a loss in black instead of blaming it on some bad mojo. On Monday, the Zags followed that notion again and blamed themselves for falling short of a national title. Nigel Williams-Goss said on Monday that it just wasn’t Gonzaga’s time to bring home a national championship. He said the loss was simply a result of the Zags not playing their best. Luck had nothing to do with it. Published: April 4, 2017, 7:02 p.m. Updated: April 4, 2017, 9:50 p.m.